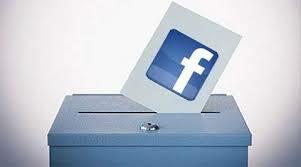 Facebook announced on Monday that they will be rolling out ‘I ‘m a Voter’ feature worldwide. The feature was already available for voters in America and India during national elections. This is another effort for Facebook to integrate its services into the everyday life of people around the globe as it seeks to increase its number of users, particularly in emerging markets. The button will appear for voters in next week’s European Parliament and Colombian elections, and for citizens in South Korea, Indonesia, Sweden, Scotland, New Zealand, and Brazil later this year. It will also appear again for Americans, during November’s midterm congressional elections. Users can broadcast their status as a voter to their network of friends by clicking the button however this will not reveal how their vote was cast. According to Facebook, nearly 400 million people will see the message in their news feeds this year, which more than one third of its roughly 1.1 billion active users.